Dan Wainwright, president and co-founder of Vancouver-based Pacific Rim Distributors, was skeptical about calling on the Canadian Trade Commissioner Service (TCS) for help. Wainwright was eager to line up distribution deals in key Asian markets for the seven Canadian craft beer makers his company represents. A colleague pointed him to the TCS at Global Affairs Canada. But Wainwright wasn’t initially sold on the idea. “To be honest, I thought the Canadian government would be a huge pain to deal with,” he says. “But it’s turned out to be the opposite. They’ve been great,” says Wainwright. His attitude changed after the TCS helped Pacific Rim book meetings with 18 distribution companies in Singapore over three days in March 2017. After the meetings concluded, Pacific Rim chose the Singaporean distribution company that came most highly recommended by the TCS. “They certainly know the local market,” he says of the TCS. Wainwright was further impressed when a TCS officer attended seven meetings with him in Taiwan, where he finalized a deal to have the convenience store chain 7-Eleven distribute his clients’ Canadian craft beer. “The trade commissioner literally sat in on every single meeting we had in Taiwan,” he explains. 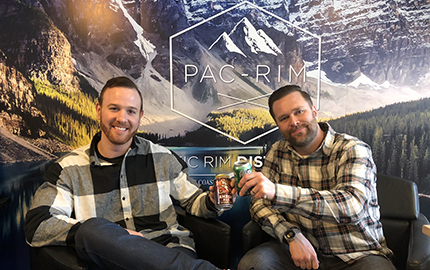 Thanks in large part to support from the TCS, Pacific Rim Distributors has placed its Canadian clients’ craft beer into 12 foreign markets — nine in Asia and three in Europe. Not bad for a company that formed only two years ago. “Where the TCS is especially helpful is in facilitating introductions. When they introduce you, it lends a huge amount of credibility to your business,” says Wainwright. 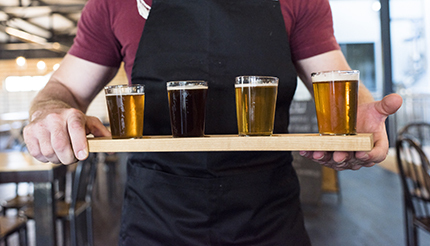 Canadian craft beer has proven to be popular in countries throughout Asia Pacific. So much so that Wainwright says the market share of craft beer in Asia has grown to about 2% today from just 0.5% in 2016 when he first began his push abroad. “It’s really grown exponentially,” he says. Today, Wainwright continues to use TCS services—market research and local intelligence, providing introductions, arranging meetings and giving advice—as he works to get his clients’ beverages into Australia and Peru.